Marvel isn’t playing around anymore, because Doctor Strange marks a new entry point in this current cinematic universe where they have to achieve “the unfilmable.” They played it safe with Ant-Man, but if Doctor Strange is any indication, the path ahead of them should be paved with nothing but challenges of cinematic feat. It’s one thing to bring relatable characters like Iron Man and Captain America to the screen with their pre-made recognition across the globe, but their story lines are numerous and their abilities are somewhat grounded, making their film adaptations a kind of no brainer. Doctor Strange however, as the Sorcerer Supreme of the Marvel Universe, isn’t even a B list character. His stories were most popular in the 1970’s in the last decade of the Silver Age of Comic Books, and after that was faced with consistently cancelled story arcs. Stephen Strange once was, and mostly still is, by far the most powerful character in the pantheon of Marvel heroes and villains, and even more powerful than Superman in the grand scheme of the genre. 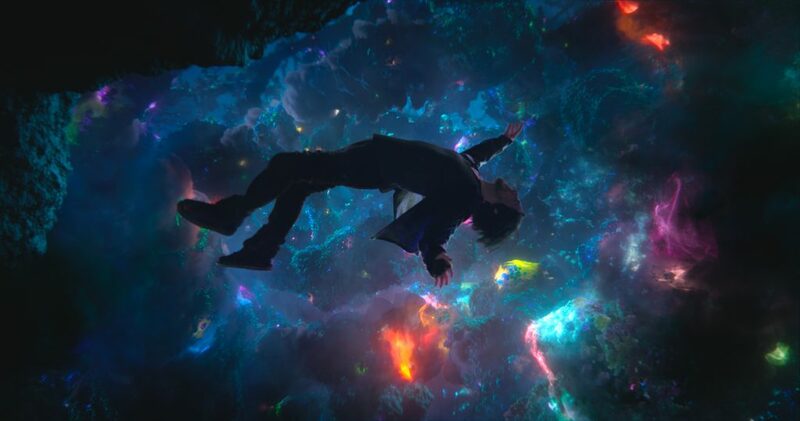 This world of mysticism, wizards and spiritualism throughout Doctor Strange’s career is one of the most original put on page, and much like Lord of the Rings and Watchmen before it, its contents should technically be unfilmable as far as Hollywood is concerned. In this third phase of the Marvel Universe we have dimensional schisms, time warping, paradigm shifting with celestial beings and, probably to be seen in the next Thor film, a council of Godheads. The ideas and effects throughout this film opens the minds of general moviegoers and eases the concept of the eventual battle with Thanos when the time comes for Avengers: Infinity War. Doctor Strange’s first cinematic debut, however, gives viewers a quickly paced origin story that feels as familiar as most contemporary superhero stories, where the viewer tags along to see how a man adapts to become something extraordinary, but in every other aspect the film provides relentless spectacle and levity. This, in part, comes through Marvel’s solid casting of the film, namely in the charisma of Benedict Cumberbatch as Strange. Most viewers have been comparing his characterization and journey to that of Tony Stark or Bruce Wayne as a wealthy man boasting hubris until he’s forced to be humbled by something greater than himself and learn to combat particular evils. I, however, find that Strange isn’t quite the same, and his journey certainly less so. Stephen Strange has an ego, and is the best neurosurgeon the world has ever seen, but unlike Tony Stark, he is unable to create a solution to his own tragedy, but instead must rely on the help of others, humbling him as he learns of the existence of magics and the multiverse when arriving at Kathmandu upon his first encounter with The Ancient One, a celtic eternal lord of magic played admirably by Tilda Swinton in a highly contentious role previously made as a racial stereotype. 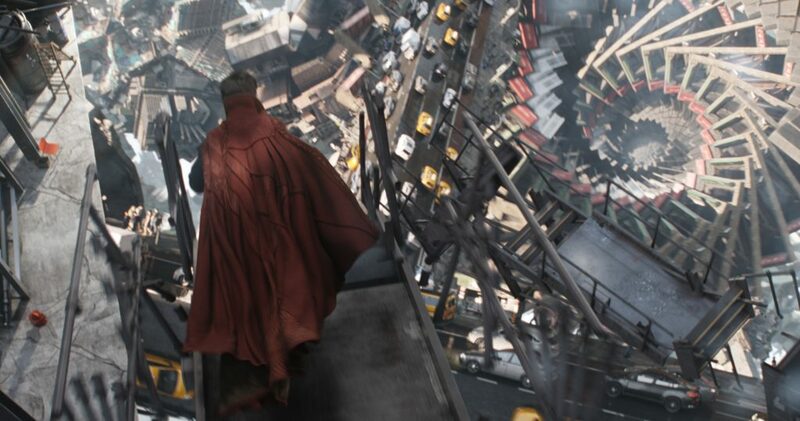 Through performances, the highest quality of production design, costuming, and makeup, director Scott Derrickson and the visual effects department seamlessly integrate these moving parts into the world of Doctor Strange to the point that the audience quickly accepts the bizarre nature of their presence, and it’s not a simple matter of compositing and texturing effects. The environmental changes, the spells being cast and the performances of the actors in tandem with it all have a sense of weight that looks convincing and doesn’t interrupt the pace of an action sequence. It just may be the best example of mind bending visual spectacle since the first Matrix film, and in retrospect probably a lot better than it, as well. As a result of the convincing effects and a solid, humor filled script by Sinister’s C. Robert Cargill, the possibility of these magics also create some of the best action scenes of the Marvel universe by presenting clever and puzzling scenarios instead of making the hero blast through countless waves of robots. In lieu of providing spoilers, it should simply be said that the moment the other villain of the film (that is not Madd’s Mickelson) encounters Strange is one of the best climaxes of the entire MCU. When completely overpowered in this moment, Strange is required to outsmart the opponent, and while it feels somewhat restrained in tone, the end of the film is much more memorable than the final 40 minutes of Age of Ultron. Sorry, Joss. Previous ArticleTV Review: Marvel's Agents of SHIELD 4x06 - The Good Samaritan"
Next ArticleTV Review: Supernatural 12x04 "American Nightmare"